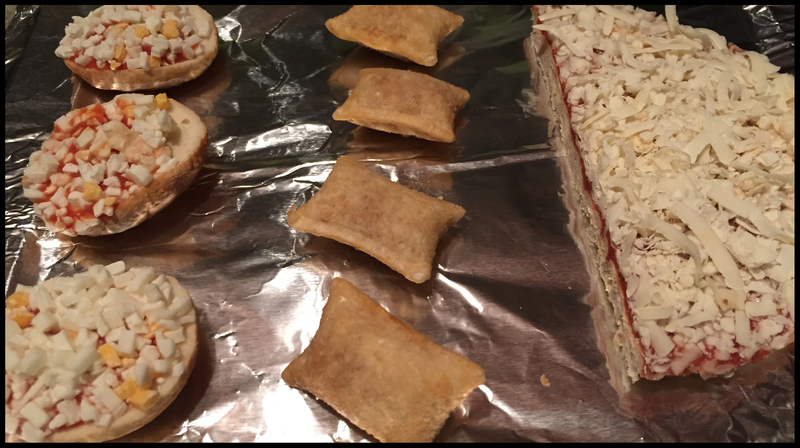 In an indulgent quest to revisit nostalgic grocery store treats in the name of research, I have compiled a set of prepackaged pizzas of my past in order to compare their worth today as a source of nostalgia and general yumminess. Child-geared ads from decades ago planted a long-lasting fondness for these quaint little pizza snacks I have yet to shake. 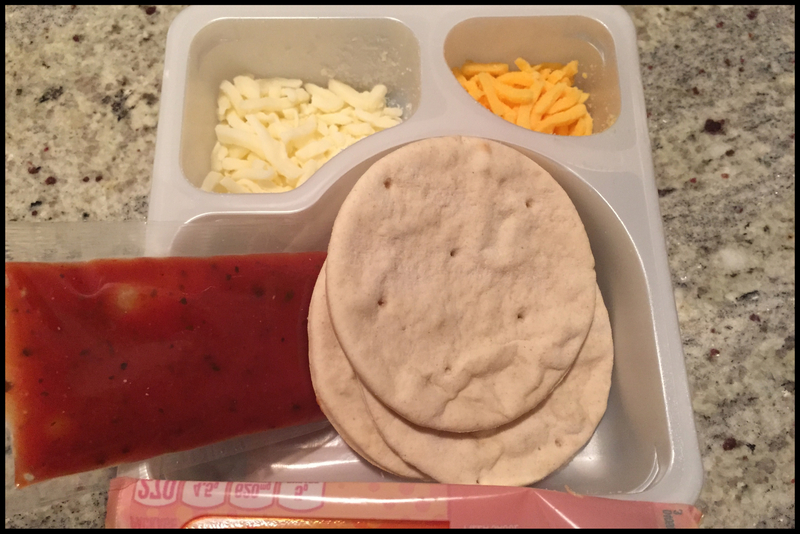 Even as quality waned and spiraled ever downward, an occasional Lunchables pizza still found its way into my shopping cart, excused as checking in with a childhood memory. What I found this time, especially having donned the spectacles of analysis, is a shell made up of recognizable parts. Free from high expectations, the crust has taken on the consistency of a nutritionally void pita bread, which at least has the decency to be soft and chewy. The meager portions of cheese would be more upsetting if it wasn’t so reminiscent of melted plastic. Meanwhile the sauce, despite keeping an eerie texture of cartoon nuclear waste, maintains the same herbaceous blend that strikes at the only nostalgic chord remaining or perhaps ever existed. It’s the same mental cogs at work here that have tricked an entire generation into continuing allegiance to shows like Saved By The Bell, an undoubtedly a dope show in its time that should be stripped of any syndication rights because it’s actually a terrible show and always has been. Early transitions into adulthood meant much stockpiling of dollar pizzas in the freezer for the nights I didn’t want to eat egg drop soup or asparagus, the two things I knew how to cook. Revisiting the pizza of my college years as a full-functioning adult is an ice-bath shock of difference. There is no soul to be found, only hollow flavors of salted sludge reconstructed in the form of pizza. Each bite threatens to engulf me in a decade-long depression. This pizza makes me feel nothing. Another college freezer standard that, almost as a rule, was only to be consumed while intoxicated. Packed with zesty flavors, these mini-hot pockets are better likened to cheesy nachos than pizza. While tasty, the flavors do not provide any relief from wanting, leaving a need to chase after some deeper satisfaction that is not really there. Meanwhile, the thick crust around the pressurized molten center requires a laborious amount caution to ensure delicate parts don’t get paved with lava-hot cheesy goo. Despite the jingle’s insistence on enjoyment anytime, bagel bites have been a source of much late-night joy, usually cast in the final moments of more hedonistic evenings. These small beauties are packed with the satisfaction of both full flavor and nostalgia, remaining true to their memory. Bright red sauce sinks into the crust, softening the upper portion of the bagel allowing for a crispy bottom, which can be achieved when cooked in the oven. 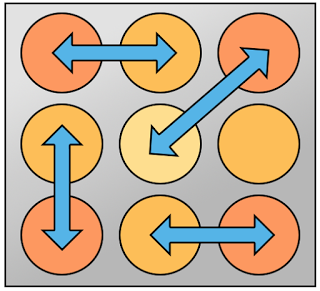 My preferred method of cooking involves a microwave and some savvy switcharoo, as diagrammed and detail by another equally obsessive bagel bite enthusiast over at Chocolate Covered Sugar Bombs. A bottle of Lambrusco helped sail me through the flavors that now represent my past. 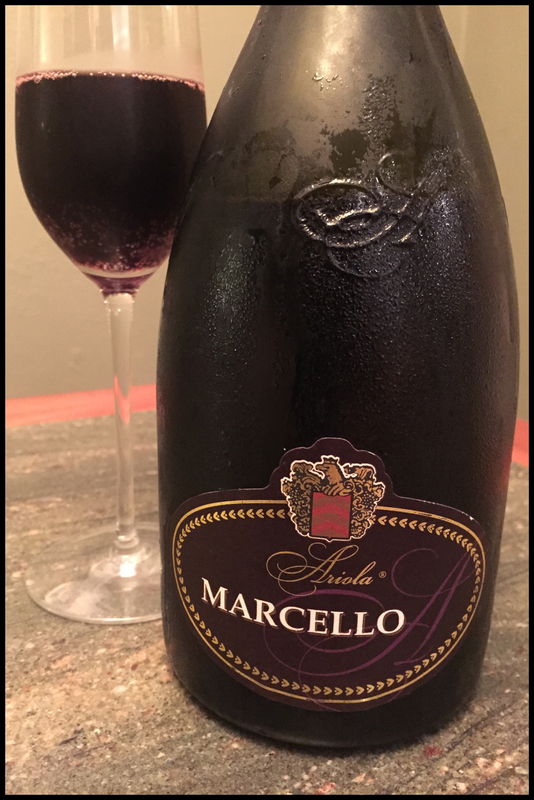 The purple Italian bubbly is a quaffable delight that requires no thought to attend its straightforward fruity flavors. Drier styles are friendly with meat and pasta dishes, and also make for an effortless pizza accompaniment. The lower alcohol allows for clarity of mind to fulfill test kitchen duties of contemplative evaluation and appropriate gif assignment. Yes! This post is brilliant. All in the name of research!